Volunteering at Arbor Arbor Montessori School has many volunteer opportunities available to families, which encourages and aids parents in becoming more involved in their children’s education. Research indicates that children do better in school when parents are involved. Not only does your child benefit by your involvement, but tuition is kept lower. To learn more about volunteering at Arbor, please email Danielle@ArborSchools.com. Arbor Parent Teacher Association The Arbor Parent Teacher Association (PTA) meets five times a year to discuss topics of interest to parents and staff. This forum is used to give general information on fundraisers like the annual benefit auction and Issaquah Triathlon, share information from the Academic Committee, discuss ongoing concerns parents may have regarding day-to-day functioning of the school, and relate information about upcoming Arbor events and calendar updates. We have also used this forum to share a Montessori lesson with parents where teachers from each level demonstrate the lesson as they would present it to their class. The Schoolyard Habitat Project The Schoolyard Habitat Project at Arbor Montessori School was initiated in September 2002. 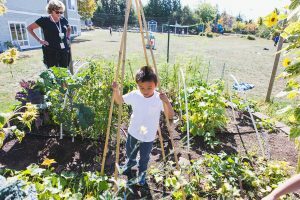 By introducing a variety of drought-tolerant, native plants in the schoolyard, we sought to restore the natural environment while providing an exceptional place for children to be, play and learn. 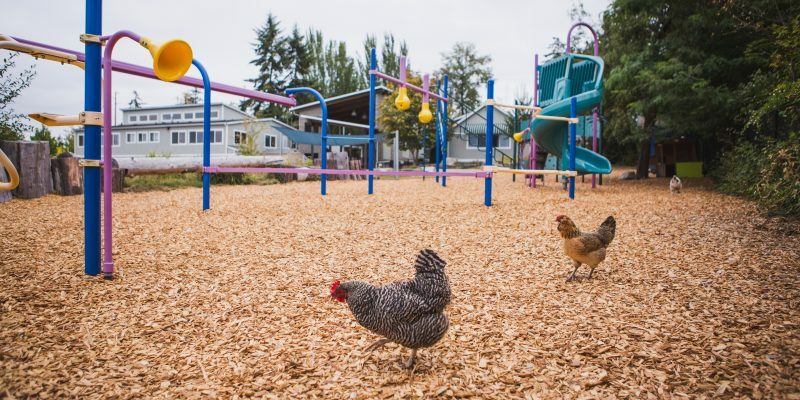 Our biologically diverse backyard habitat represents a permanent and sustainable gift to the present and future children of Arbor Montessori School and the surrounding community.